I am constantly amazed at how we have the power to perceive the way in which we view the world. One day, you can be feeling rushed because you’re running late for work. Maybe you didn’t sleep all that well the night before. So, you allow this rushed/tired state of mind to take over so much that you end up missing all of the beautiful sights of a spring morning. A new day dawns the next day. You wake up but instead of allowing a state of mind to descend upon you, you choose your state of mind. You choose to open up your eyes and your heart to the beauty around you. The world transforms before your very eyes! But it is not the world transforming. It is you. I made the choice to open up my eyes and my heart last week when I started a Gratitude Journal. Since then, I have been experiencing this wonderful transformation in my world. Every night before bed, I write down 5 things I am grateful for in my life. The first night was really easy as was the second night. Now, I am moving from the major things to the more detailed things. The aroma of that first cup of tea in the morning. The flash of a cardinal’s wing in the bushes outside my apartment building. The song of the lone peep telling everyone that he is there and it is spring. Really. 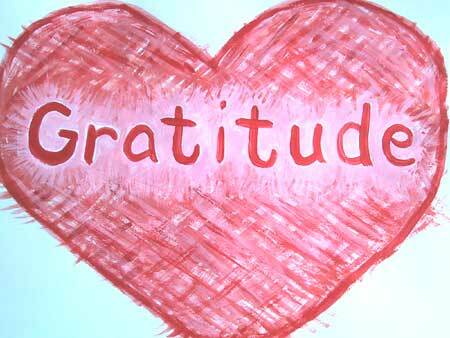 Another wonderful thing happens as you get more into your gratitude focus. Not only do you review your day and remember but you become more present in each moment of your day, appreciative of its gifts as they happen. So, taking a small step and making a daily practice of voicing gratitude for all of the blessings in your life can change your life in a very big way. It has for me. Sarah’s book has a whole essay on starting a gratitude journal. This is where I first read about the idea. 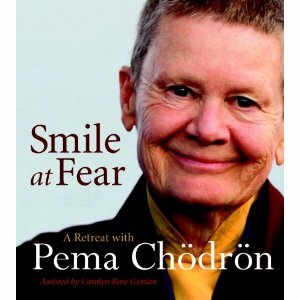 This book is an inspiration and I recommend it very highly! I have the Simple Abundance book and also bought her journal but never wrote in it yet. However, I write down every night 5 things that happened that day and that I’m grateful for. I think I will start writing in that journal, though. Thanks for reminding me of it!! I am grateful today that I found your blog. What fun I will have visiting back here now that I have found it. I really love all the things you have discussed: tea, art, beading, myths, being grateful…. How great. Thanks.